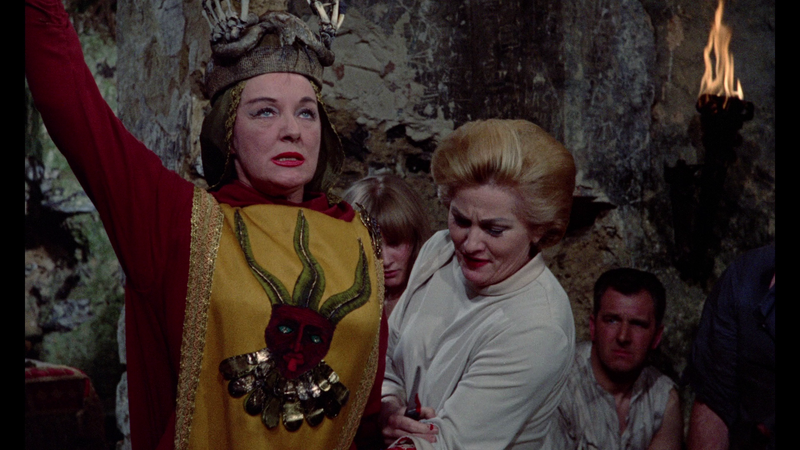 Haunted by the terrors of her experience with African witch doctors, school teacher Gwen Mayfield (JOAN FONTAINE) accepts an appointment as headmistress at the Haddaby School run by Alan Bax (ALEC MCCOWEN) and his sister Stephanie (KAY WALSH). Gwen initially revels in the peacefulness she has found in the quiet English countryside but soon begins to sense “undercurrents.” Before long, a local boy falls into a coma and Gwen discovers a voodoo doll impaled by pins. The danger that follows brings her face to face with witchcraft as a series of disasters unfold and lead her to the horrible truth. This comes with reversible cover artwork. Features include a new Audio Commentary with Filmmaker Constantine Nash and Author/Filmmaker Ted Newsom, Hammer Glamour (44:09) is a documentary on the women who have been featured in the Hammer horror movies and includes interviews with four of the actresses (Valerie Leon, Caroline Munro, Martine Beswicke, Madeline Smith); Trailers & TV Spots (3:33) and a Still Gallery (4:28). 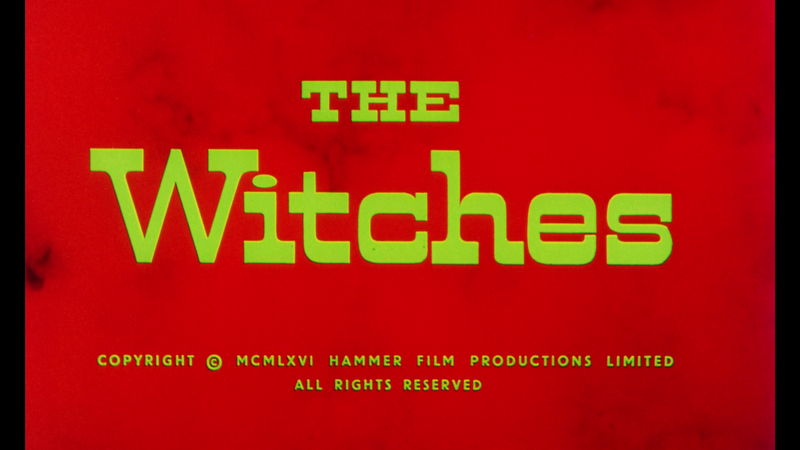 Shout Factory releases The Witches onto Blu-ray presented in its original 1.66 widescreen aspect ratio and a 1080p high-definition transfer. 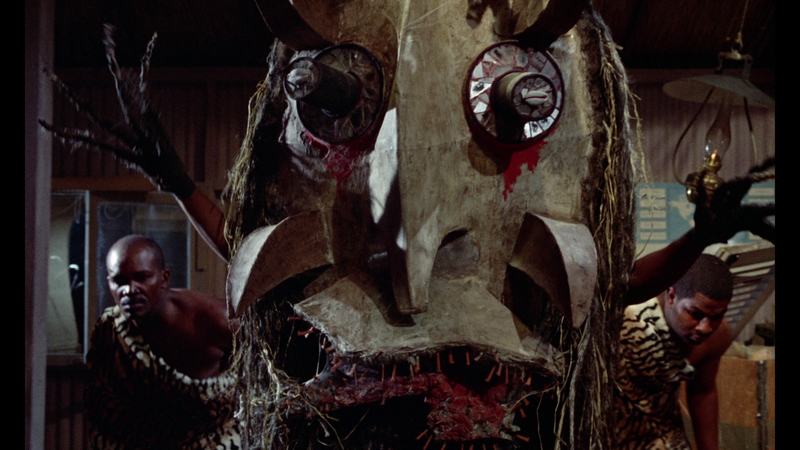 There are no notes or notations on the specifics if there was any restoration work done or where exactly the film was taken from, but whatever the case, this was a great looking HD picture. Detail is sharp throughout and colors are pretty much in keeping with the 1960s era. All in all, aside from some minor specs and such, this was also surprisingly clean. The disc comes with a standard but effective DTS-HD Master Audio Mono track which provides for good dialogue levels and some modest depth even though there aren’t any scenes that features anything profound and is pretty much filled with dialogue or ambient noises. 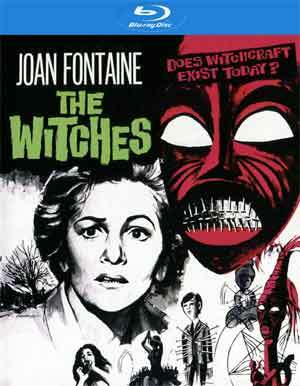 Overall, The Witches features a fine performance from Joan Fontaine but the story isn’t very engaging, even a little disjointed at times, though on the plus side, it is a different kind of Hammer picture. This Blu-ray release from Shout Factory has good video and audio transfers and an okay selection of features.